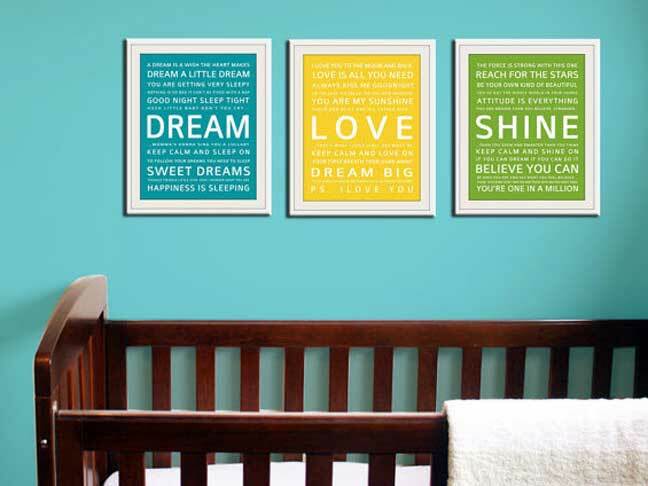 Whether you’re planning a new baby nursery or just looking for something new to spruce up the kid’s playroom, this set of 4 typography prints might be just the thing to help get you started. The bold colours and clean graphic design of any one of these 11 x 14 unframed prints will add a lot of appeal to whatever space you choose to display them. Choose your own Set of 4 prints from any one of the nine different quotes and cliches available from this vendor, depending on your own sense of humour and whimsy for whatever you want to convey. 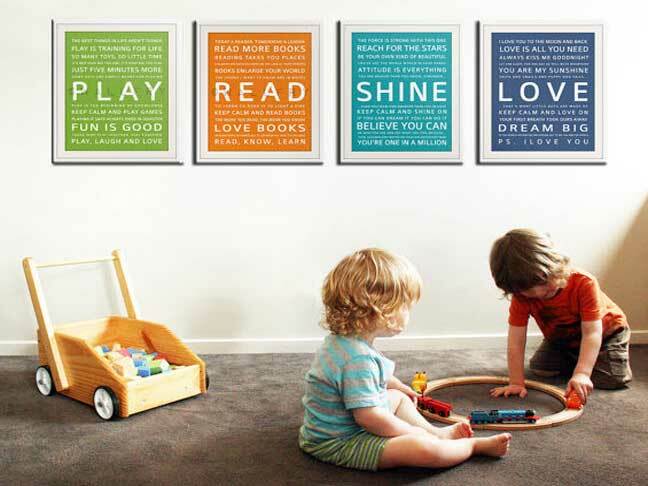 Studies have shown that kids draw mental stimulation from exposure to bold colours and words, so what better way to get your own child started off, than with these graphically bold typography prints?